Highlights from the recent golfer Research conducted with Golf Magazine/Golf.com, informed SLRG's ninth annual consumer outlook breakfast, presented by SLRG President Jon Last at the PGA Merchandise Show on Wednesday, January 24th. This presentation examines three critical trends that will impact the golf market as we move into the 2018 season. Results were culled from surveys and depth interviews with over 2,000 active golfers as well as additional golfer research conducted by SLRG over the past twelve months. Click HERE for the presentation. More in depth results are also available on a custom basis. Please contact us for details. Perceived slippage in the NFL's popularity. 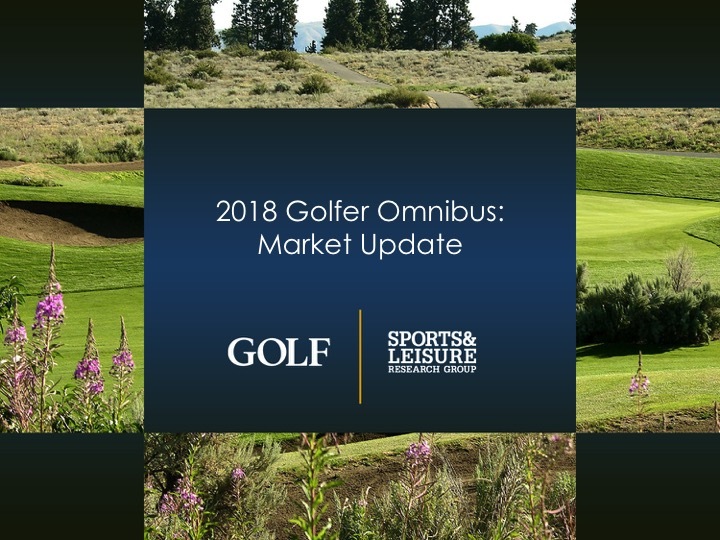 SLRG's annual consumer outlook for the golf market reveals trends in golfer attitudes about the state of the game, the future of golf, as well as the outlook for participation and the equipment market in 2018. Results were drawn from surveys with over 1,000 active golfers. 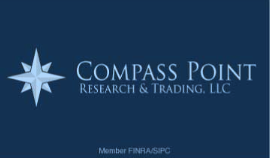 Click HERE for a copy of the report. For more in depth results available on a custom basis, contact us. SLRG President Jon Last addressed members and guests of the American Society of Golf Course Architects (ASGCA) at their annual Partner Breakfast during the recent Golf Industry Show on Wednesday, February 7th in San Antonio, TX. Last provided highlights and implications of SLRG's recently completed benchmark study with golf course architects, superintendents and facility operators. The research explored issues impacting golf course facility design, re-design and renovation. Highlights of key findings were distributed to assembled guests and media and are available for download, HERE. Multiple SLRG studies on the consumer purchase journey across our verticals of concentration, have revealed that the adoption of social and digital marketing platforms are in many ways additive, rather than disruptive of traditional media. One implication for sports and leisure marketers is that this messaging fragmentation calls for broader and more targeted communications and activation. It's still fascinating to see where our clients' marketing plans have gone during just the past ten years. From a more finite and linear reliance on the former "Big Four" of print, broadcast, direct and venue based promotion, to a litany of digital, social, WOM and interactive platforms. Indeed, advertising through mass media has transitioned into a fragmented space. This wider playing field means that traditional brand tracking research approaches have likewise needed to evolve, otherwise the client may miss important yet subtle impacts of these channels on target customers' perceptions. 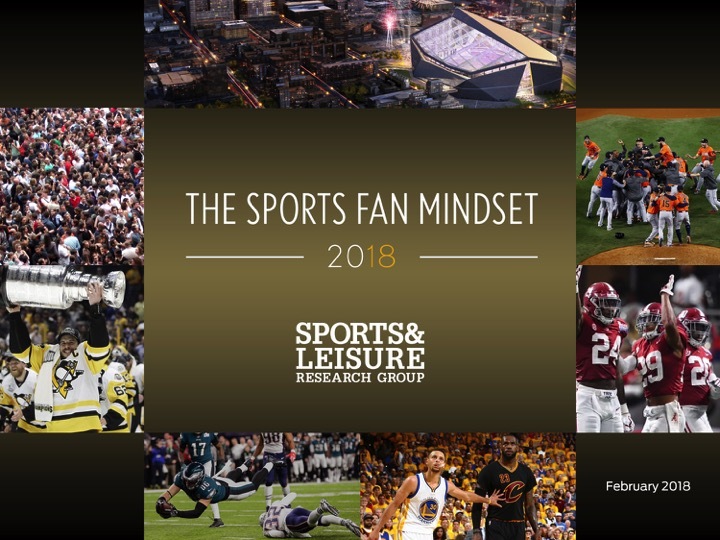 In his January 2018 column, SLRG's Jon Last speaks to how the integration of experiential and attitudinal data, through dashboards, can provide significant insights to sports marketers. Read it here. 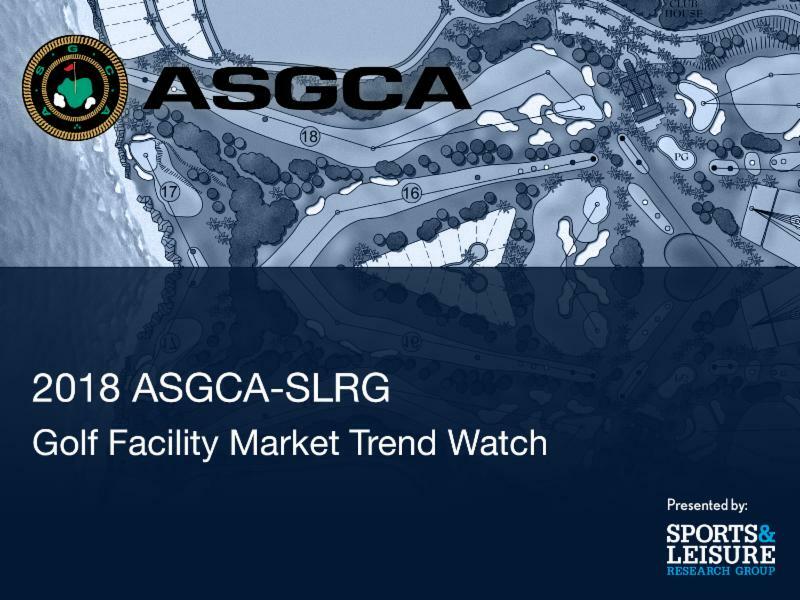 Compass Point's Casey Alexander highlights SLRG findings in this comprehensive outlook for the year ahead in the golf equipment business Click here to read it. Golf industry analyst JJ Keegan provides detailed observations from the 2018 PGA Merchandise Show, citing SLRG's "New Paradigms for Golf Marketing" presentation as #1 on the list of top ten positive take-aways from the show. Click here to read. The Market Research Institute International (MRII) announced that Reg Baker, its executive director, intends to retire by the end of 2018. The Board has formed a committee to direct the search for a new executive director, that will be chaired by SLRG President Jon Last and includes SLRG Partner Michael Mermelstein, among others. For those interested, a position description is posted HERE . If you would like to be considered for the position or want to nominate someone else, you can do so HERE . We appreciate your help in searching for the next Executive Director.